Create a princess wonderland in your kid’s room with the unique DHP Metal Twin Carriage Bed. Its whimsical and scrolled lines create a warm, classic look that will easily coordinate with all different types of room décor. A crown on top of the frame adds to the charm and beauty of this enchanting bed. 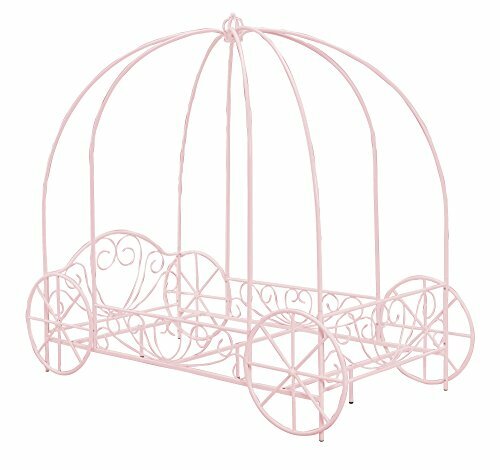 Fit for your princess, the DHP Metal Twin Carriage Bed is the perfect addition to her bedroom!